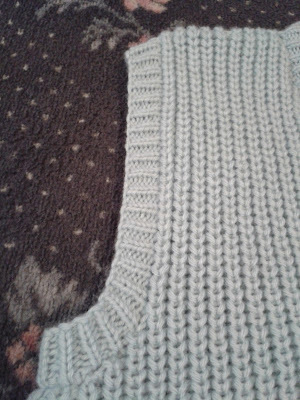 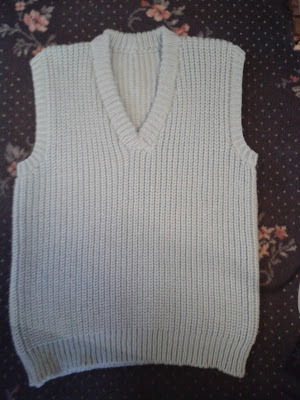 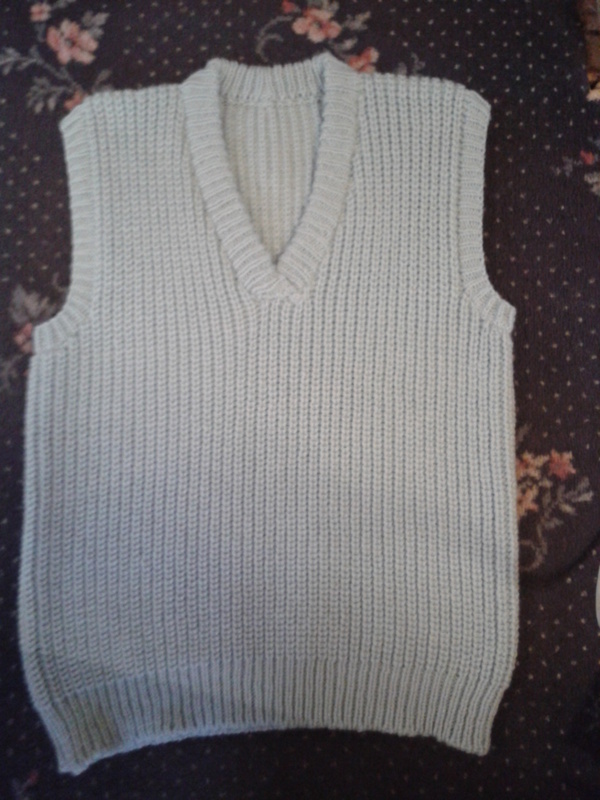 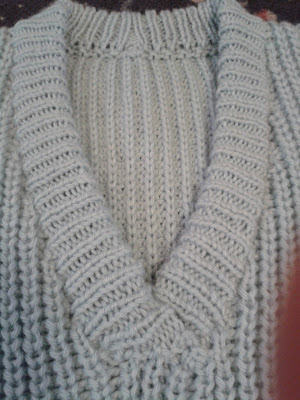 I have finished the English rib pullover that I started last week, I was quite pleased with how it came out, here it is. Here is the ribber cast on edge, I thought with it being on the chunky ribber that the ast one edge would be all stretched, but it wasn't, it came out just fine. 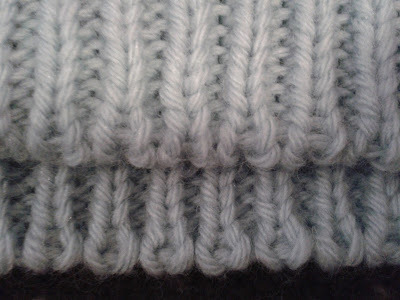 I wasn't that happy with how I joined the seam at the bottom of the neck band where it folds over and where the two neckbands join on the center back neck, they look a bit scruffy, but nevermind, I'll get used to that. 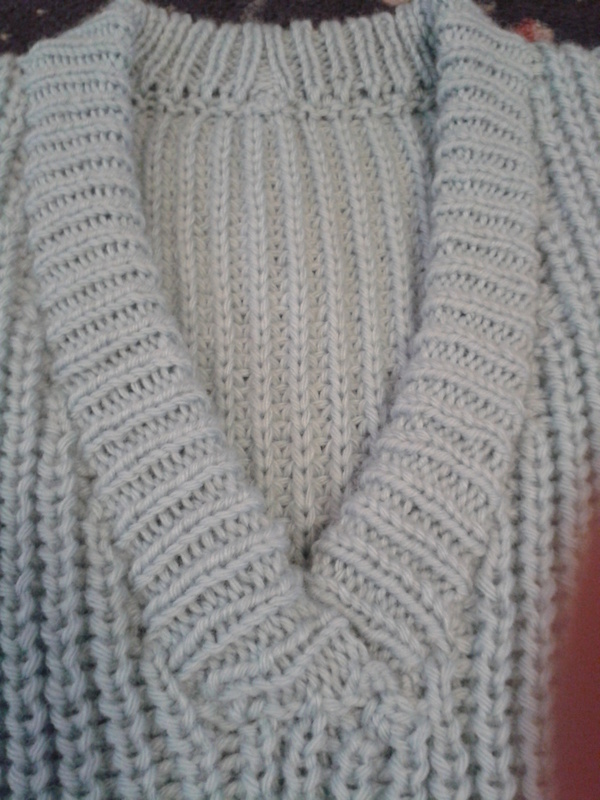 I am however really pleased with the armhole ribbing join.